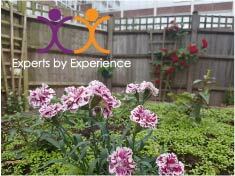 Come and enjoy the re-opening of the Lewis House Garden by the new Mayor of Bromley after our makeover. Have a look round, grab a free cup of tea and buy plants grown from seed by volunteers during our ten-week project working with Thrive. Help yourself to a paper pot or make your own | Fill your own Lavender Bag £1 or buy one for £1.50 | Make your own bug hotel!